Don’t get me wrong. I like water. 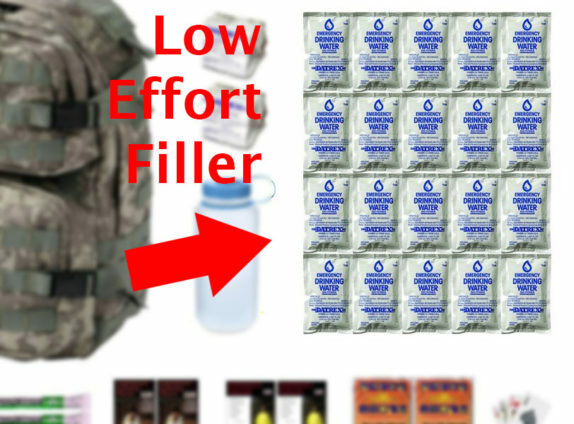 But a flexible 5 gallon water jug is way better than a mess of tiny plastic sleeves with enough hydration to keep you supplied for about 6 hours. These are my three all time favorite emergency kit loadouts. Every item (almost) in these kits is well thought out, and of generally good quality. I love the size of this bag. It’s got only the most space-efficient essentials (no food or drink except some ration cubes) so they can fit into a container the size of a camera bag or fanny pack. 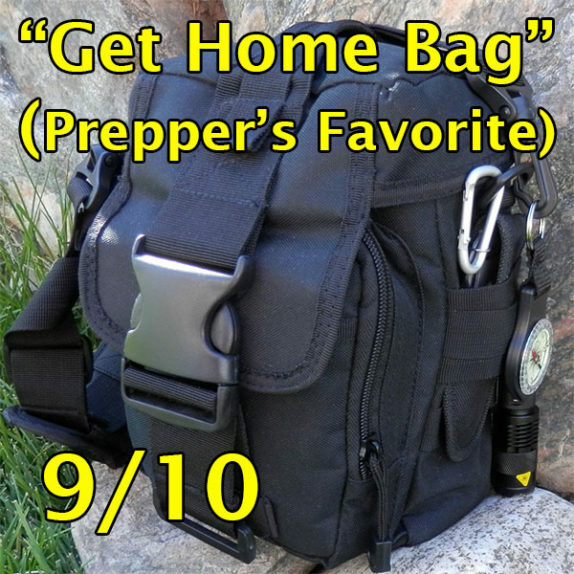 So many of the low-effort emergency kits take up a whole backpack (or 5 gallon bucket) which make them a lot less practical to take everywhere. The contents are top notch too. Nothing gimmicky like I see in other kits. There’s still room in the bag to pack extra items like a good wind-up radio and some toilet paper. Seriously, never forget the toilet paper. And personally, I would swap the sleeping bag out for a compact camping tarp. Like most emergency kits, it has a first aid component. Solid, nothing really missing here except an Epi-Pen if you need one. I doubt I’ll ever need the surgical masks but they might make good tinder. 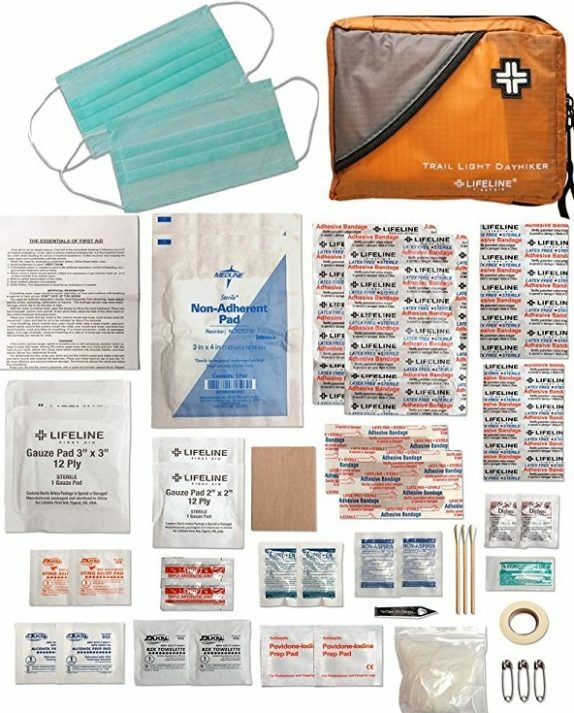 Tip: The first aid kit is actually the well-reviewed trail light dayhiker kit. Kit 2: A kit of Emergency Food that Doesn’t Taste Like Sand! Whenever I go camping, I always pack a dedicated “kitchen bag.” Food, cooking supplies, utensils, pots, throw it all in there. Sort of the same idea here. As a frequent eater of food I really appreciate a bag that can keep me fed for nearly a week. Not bad! 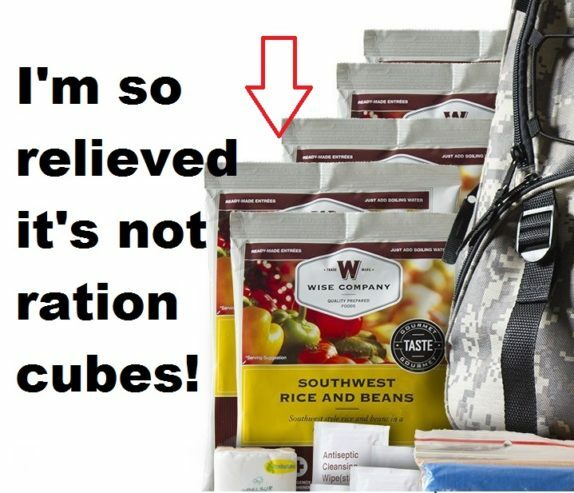 All the other food based survival kits I’ve found are stuffed with tasteless “ration cubes” and way too much water. 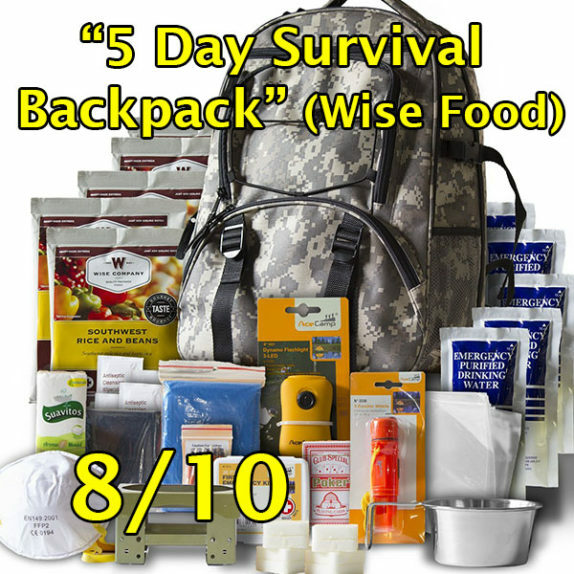 The Wise Company kit has actual meals. The meals themselves are ok quality, I would personally stock the bag with some extra Mountain House meals. It comes with 5 day’s worth, which is actually already a pretty generous time frame. It’s got some packaged water, but they don’t overdo it. It’s actually a lot less water than you need to make all the meals, which I don’t personally have a problem with because I can pack my own water thank you very much. 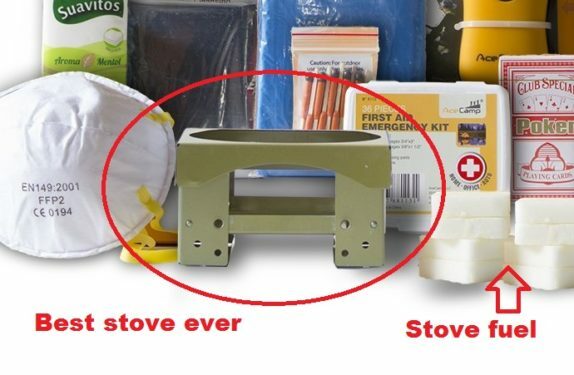 The included pocket camping stove is my favorite type of camping stove. Seriously, everyone should have one of these. Ultra convenient, clean burning, folds up super compact. I can’t say to many good things about these stoves. Brilliant idea to include one of these. This is my favorite kit because its size make its extremely versatile. 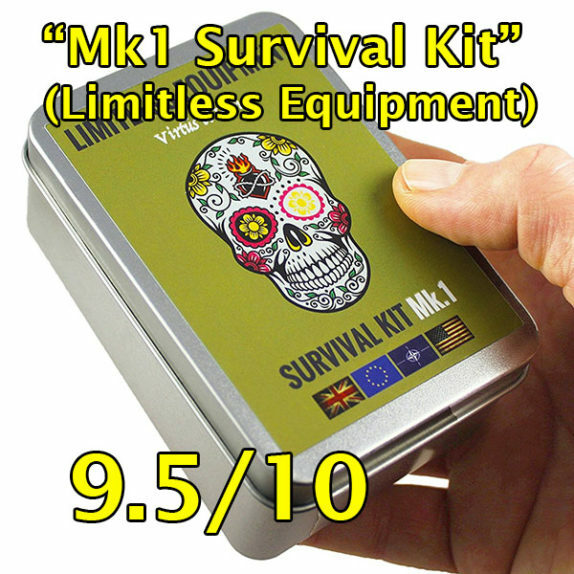 It can literally be combined with any other survival kit. And the number of tools is unmatched in a tin this size. The tin says “limitless” which is obviously marketing hype. But it has an awful lot. 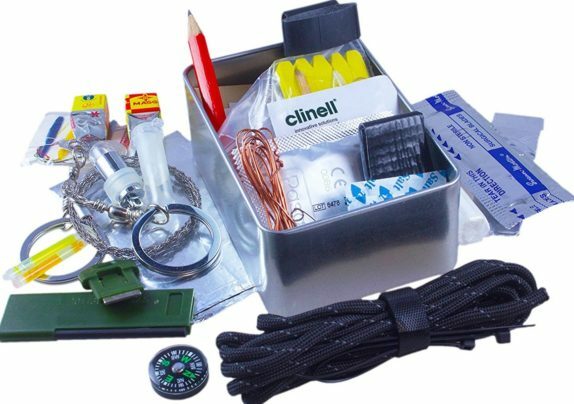 A compass, light sticks, fishing equipment, reflectors, firestarter, tinder, tinder extender, whistle, water carriers and filters, ranger bands, first aid kit, even a wood saw. You read that right, there’s a wood saw in here. 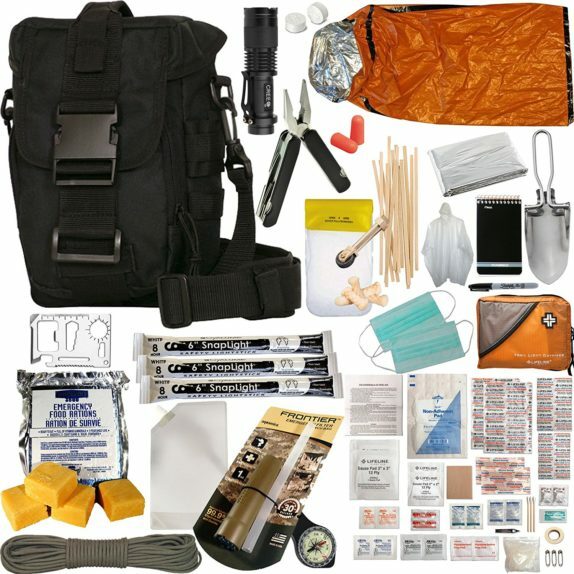 Of all the kits here, this is the one it’s easy to EDC. Slam one in your glove compartment, backpack, camera bag, even just a pocket. Great kit design, 9.5/10. Get one here.